Lari Dierks represents clients in litigation, regulatory compliance, and legislative analysis. 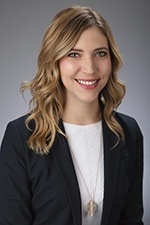 Lari uses her litigation skills, developed during her time at the Cook County State's Attorney's office, to defend clients in a wide array of matters. Additionally, she counsels clients on every step of the legislative process, including creating legislation and analyzing the impact of legislative proposals. While she was an analyst for the Illinois House of Representatives, Lari developed legislative solutions during negotiations and drafted legislation to implement the agreement of all interested parties. Her work primarily focused on public pensions and labor. She also worked with state and local agencies to implement recently enacted laws, including developing regulations to meet the needs of the state, the agency, and other parties impacted. In her role as lead pension analyst, Lari drafted numerous pension reform proposals, as well as technical amendments to the Pension Code for state and local pension funds. She also worked with state and local pension funds to reach a solution when issues arose related to administration of pension benefits. During law school, Lari combined her technical knowledge of pension administration with her legal training to write an article that evaluated the constitutionality of consideration-based pension reform proposals. Her article was published in the Northwestern Journal of Law and Social Policy and highlighted on Capitol Fax. During her time in a felony courtroom, Lari tried numerous bench trials, and secured a victory in a robbery jury trial. As both a summer associate and law clerk for Hinshaw, Lari worked on international arbitration issues for the Republic of Croatia. While attending law school, Lari served as a Judicial Intern for the Honorable Thomas L. Kilbride, Illinois Supreme Court Justice for the Third District. She also served as Managing Production Editor of the Northwestern Journal of Law and Social Policy, President for the American Constitution Society, and was an active member of the Women's Leadership Coalition. Lari is a proud member of Dierks Farms, a five generation family farm in Ava, Illinois. She brings the work ethic she learned growing up on a farm family to advocate for each of her clients and enjoys using her regulatory skills to ensure her family complies with all local, state, and federal regulations required to safely ship grass fed beef to households throughout the country. Lari enjoys running and travelling. Although she loves to visit places all around the world—most recently, Vietnam—Lari also enjoys exploring the neighborhoods of Chicago.